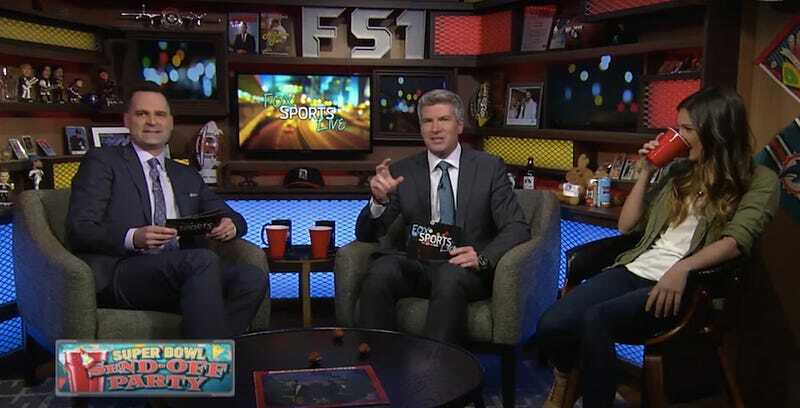 Fox Sports 1, a network aiming to build its programming around as many washed-up zoilists as possible, will reportedly get rid of two shows that didn’t sufficiently delve into the topic of cyber-humans. Additionally, Ourand and Awful Announcing write that Katie Nolan’s Garbage Time, which hasn’t aired an episode since Feb. 3, won’t be coming back in its current format. The show will either be reworked, or another role will be found for Nolan.